LOL! I really like your snow guys! Love the colours you've used and the sparkle too! Great work. Those snowmen are just too cute! Love the bling!!! Absolutely adorable card, Hayley! Love, love, love all the sparkle, too! 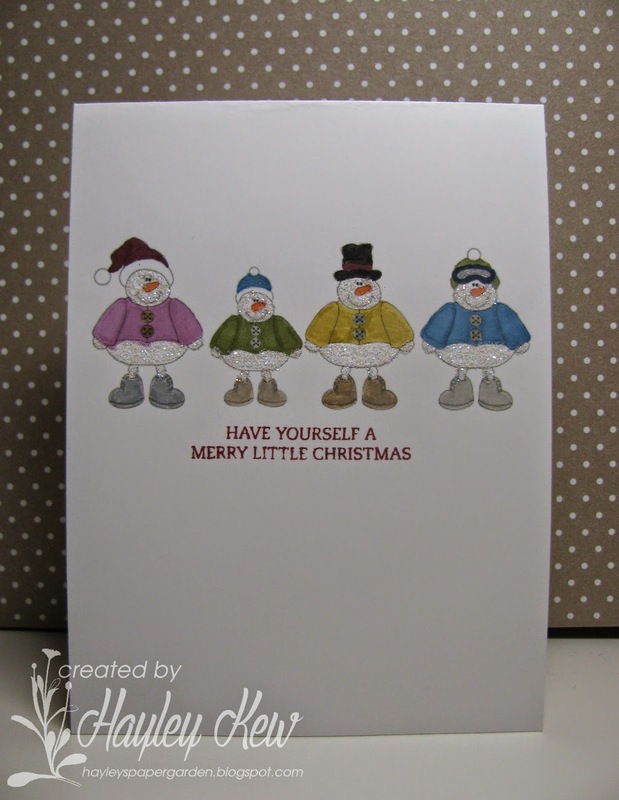 Hi, love your glitzy snowmen, fun card! Love these adorable snowmen ! The sparkle is eye-catching! Oh my...your sparkly snowman have me giddy with delight! Super cute!! 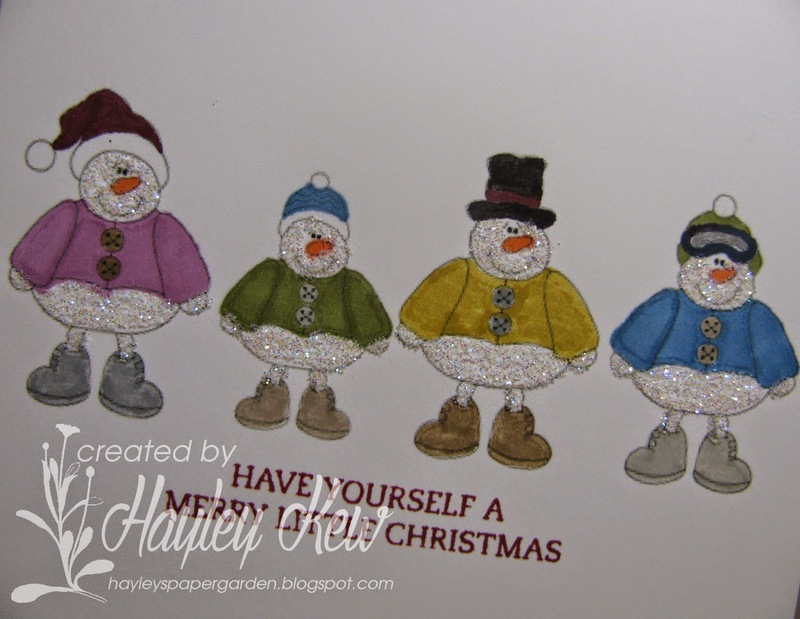 What a sweet group of snowmen - so cute! Smokey Slate & Silver Fun!